Long ago, David questioned why the heathen rage and why the nations plot emptiness. We might ask why the sun rises or rain falls–it’s just the nature of the thing. Likewise, the world is at enmity with God and his word and continually assaults the Bible’s rocky shore line with wave after wave. 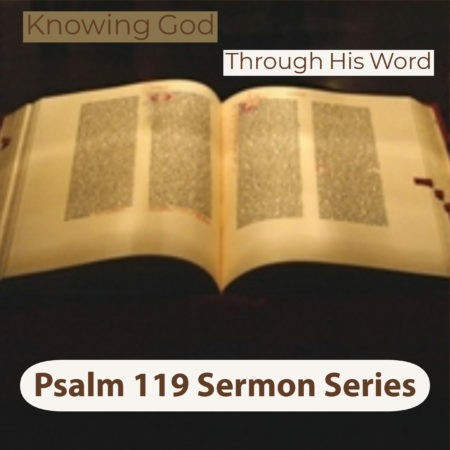 The writer of Psalm 119 recognizes that God’s word is unaltered and unaffected by anything man does because God’s word is inseparably linked to God himself. The eighteenth stanza of this Psalm focuses on the righteousness of God and the righteousness of his word.